So, the minimum order for chicks in February is 15 from most hatcheries. Feeling fairly confident that a few would “self deport” in transit, I ordered 14 hens and 1 Roo thinking I would likely wind up with 8-10. Well, the postman called this morning and we hustled to the post office to pick up a very loud box of birds…. I don’t know if you could tell, but ALL 15 birds were alive and kicking! In addition to the 6 mature hens we already have (Gibbles Rest In Peace) we are now up to 21. Gulp. 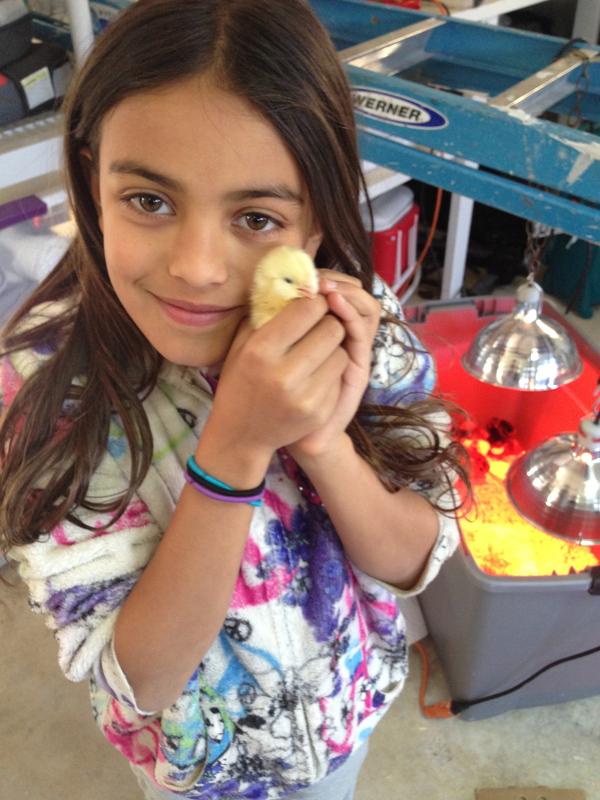 The chicks are in their brooder which will be too small in about 2 weeks. I’ll worry about that tomorrow. 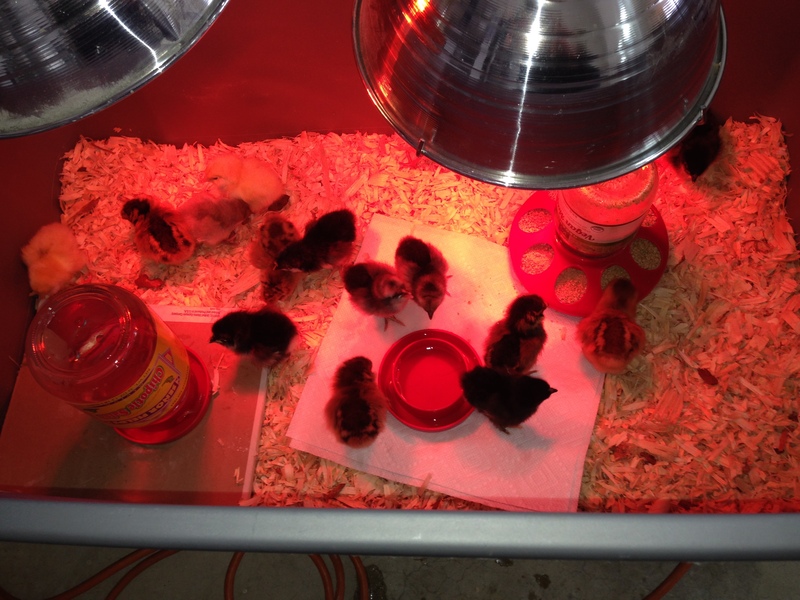 For now, its changing water, refilling food, monitoring temperature, and handling the chicks as much as possible so they become comfortable with the kiddos. Stay tuned…more crazy to come. Previous The Turkey-Off…or is being broad breasted worth it? Next Our poor POP…..Popped!